What Ayn Rand’s philosophy teaches you is to be ambitious about your life. Make the most of the one shot you have at life. Learn how to achieve your own happiness. Then live every minute. So argues Yaron Brook in the next installment in ARI’s series of captivating, long-form conversations on The Rubin Report. This episode features Brook together with clinical psychologist Gena Gorlin. What makes the interview especially illuminating is that it shows how abstract principles in Rand’s philosophy can be applied in your own, everyday life. Brook and Gorlin vividly explain how Objectivism can guide you in pursuing your own happiness. They look at how to fill one’s life with meaning through developing a career, engaging with beautiful art, and finding romantic love. Below you can find the rest of the conversations between Dave Rubin and Objectivist intellectuals in this series. Yaron Brook is chairman of the board of directors of the Ayn Rand Institute. 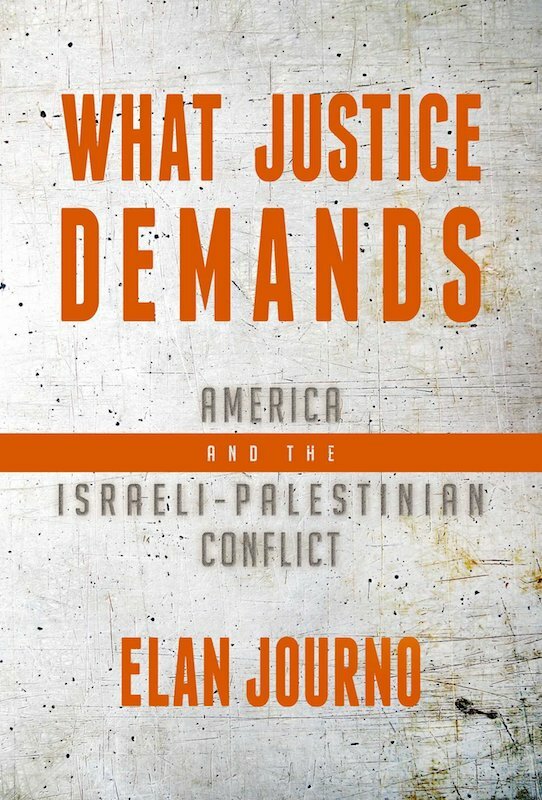 Gena Gorlin is an assistant professor in clinical psychology at Yeshiva University and a therapist. 1. Why Is Selfishness a Virtue? In this episode, Onkar Ghate and Tara Smith delve into the question of how selfishness could possibly be a good thing — and why Rand is the only thinker who has dared to challenge the basic moral premises that have animated our culture for more than two thousand years. For more perspective, see the New Ideal announcement here. Audio podcasts are available on iTunes and Stitcher. 2. Do We Have Free Will? In this episode, Onkar Ghate explains why free will matters for one’s own life and happiness, and how human free will is consistent with the Law of Causality. He and Dave Rubin also discuss the effects of genes and environment on a person’s nature and choices of actions. For more perspective, see the New Ideal announcement here. Audio podcasts are available on iTunes and Stitcher. In this episode, Dave Rubin has an in-depth discussion with Yaron Brook and Onkar Ghate about tribalism as a low form of collectivism. They examine its manifestations on the left and the right today, including “intersectionality” and “the oppression Olympics,” explaining how these are consequences of the moral code of altruism. They contrast all of that with the original American system, which was geared toward the rational, productive person pursuing his own happiness. For more perspective, see the New Ideal announcement here. Audio podcasts are available on iTunes and Stitcher. In this episode, Onkar Ghate and Gregory Salmiery join Dave Rubin to discuss the moral and practical considerations involved in achieving one's own personal happiness. They discuss the Objectivist perspective on happiness as a flourishing and successful state of life and provide guidance on how to create a happy life that is a purposeful, meaningful and integrated whole. In discussing free will, they examine what is and what is not within an individual's control. The discussion also encompasses related topics such as how a deep sense of meaning is possible in a world without God. For more perspective, see the New Ideal announcement here. Audio podcasts are available on iTunes and Stitcher. In this episode, Gregory Salmieri and Harry Binswanger talk with Dave Rubin about Binswanger’s experience knowing Ayn Rand personally, why Ayn Rand’s ideas continue to generate the strong reactions they do — and Objectivism’s novel view of the relationship between facts and values. For more perspective, see the New Ideal announcement here. Audio podcasts are available on iTunes and Stitcher. In this episode, Tara Smith talks with Dave Rubin about what it means to take one’s happiness seriously. Smith discusses the objective requirements of flourishing, the role of the ideas one accepts in one’s pursuit of happiness, and what it means to be self-interested in the pursuit of team goals or relationships. Audio podcasts are available on iTunes and Stitcher. For more perspective see the New Ideal announcement. 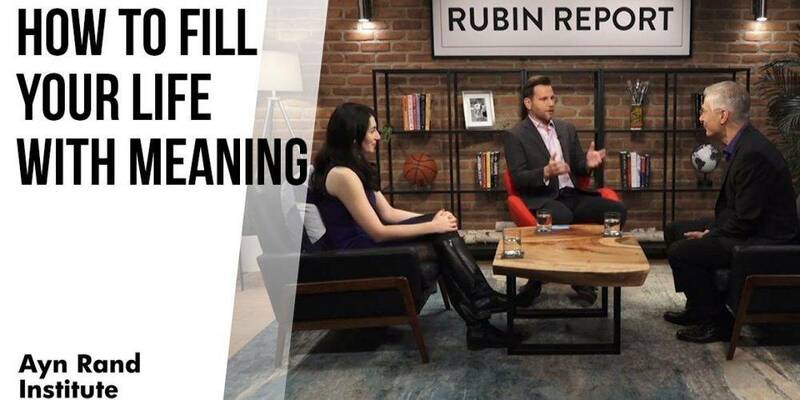 In this episode, Yaron Brook and Gena Gorlin talk with Dave Rubin about what it takes to live a meaningful life. Among the topics discussed: why a career purpose is so important, and how to navigate the challenges inherent in a career; why deep engagement with art can be such a powerful inspiration; and why rationality is not only compatible with romantic love, but a necessary condition for it. For more perspective, see the New Ideal announcement here. Audio podcasts are available on iTunes and Stitcher. In this episode, Harry Binswanger speaks one-on-one with Dave Rubin about Objectivism’s view of truth, objectivity and self-interest — and why these concepts matter outside the philosophy classroom. Other topics of discussion include Binswanger’s experience hearing Ayn Rand speak for the first time, and how that lecture affected the course of his life; how to answer a skeptic who claims there is no objective truth; and why Objectivism considers self-sacrifice to be immoral. For more perspective, see the New Ideal announcement here. Audio podcasts are available on iTunes and Stitcher. In this episode, Yaron Brook joins Dave Rubin to discuss why Ayn Rand and her ideas matter today. Brook explains the unique value Objectivism brings to today’s intellectual landscape — and how Rand’s vision of what it looks like to achieve a truly happy, fulfilling life has inspired generations of idealistic young people to gravitate toward her. For more perspective, see the New Ideal announcement here. Audio podcasts are available on iTunes and Stitcher. In this episode, philosopher Gregory Salmieri and psychologist Gena Gorlin talk with Dave Rubin about the psychological requirements of happiness. Among the topics discussed: what it means to treat happiness as a process, not just an outcome; the difference between Rand’s view of the pursuit of happiness and the “hedonic treadmill” notion of pursuing shallow pleasures that never truly satisfy; how having a central purpose can resolve internal conflicts; and how to find a sense of meaning in life. For more perspective, see the New Ideal announcement here. Audio podcasts are available on iTunes and Stitcher. In this episode, John Allison and Dave Rubin discuss the role of philosophy in Allison’s business success. Ranked by Harvard Business Review among the world’s 100 most successful CEOs over the last decade, Allison explains how a business culture built upon Objectivist virtues helped his company, BB&T Corporation, to successfully navigate the 2008 financial crisis, growing in assets from $4.5 billion to $152 billion during his tenure. Audio podcasts are available at iTunes and Stitcher. In this episode, philosopher Gregory Salmieri joins Dave Rubin to discuss ways of assessing today's political culture. Audio podcasts are available on iTunes and Stitcher. In the latest in a series of interviews produced in collaboration with ARI, Dave Rubin sits down with ARI board member Tara Smith, professor of philosophy at the University of Texas at Austin, to discuss what it means. . . The new documentary “Islam and the Future of Tolerance” sheds much needed light on an issue engulfed in ignorance, confusion, taboo. The film centers on Sam Harris, an atheist intellectual, and Maajid Nawaz. . .